At this members-only club, you can’t just buy a day pass and go skiing there. (Non-members are welcome at races.) However, if you live in the the Capitol District, this is a great asset. While it’s not big, it’s technically demanding. The trails are narrow in spots with some crankin’ corners. Lots of gradual climbing and transitions with some short grunt hills thrown in for good measure. If you can ski well here, you can ski well. 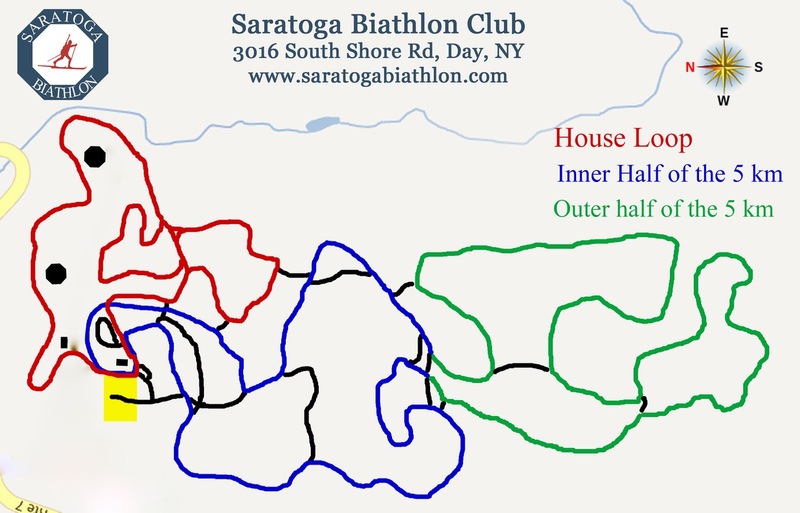 Saratoga Biathlon Club is the home course of three-time Olympic biathlete Curt Schreiner.